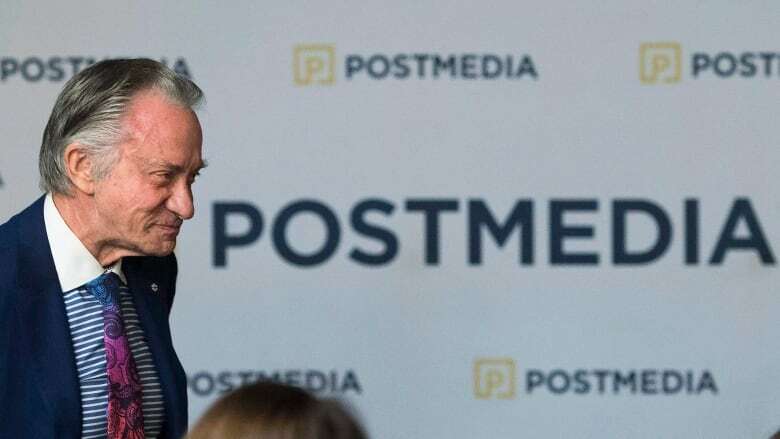 Paul Godfrey is stepping down as CEO of Postmedia Network Canada Corp. but will remain as executive chairman of the company, which owns the National Post, other newspapers and digital publications. Revenue for the Toronto-based publishing group fell to $171.3 million, down 9.4 per cent from just under $189 million a year earlier, when Postmedia reported a profit of $5.8 million with assistance from gains on asset sales. Godfrey said he and MacLeod had worked closely together to make inroads with new opportunities while "continuing the tough work" of restructuring and transforming the company. MacLeod said Postmedia's two-pronged strategy is to extend the life of its legacy newspaper business while working to grow revenue from newer digital initiatives. Figures released Thursday show that Postmedia's expenses from all major expense categories declined including compensation, which fell 12 per cent to $58.3 million. Martin O'Hanlon, national president of CWA Canada — which represents workers at several Postmedia newspapers — said in a statement that "it's just a shame" that Godfrey didn't step aside years ago. O'Hanlon said it was "especially galling" that Godfrey's compensation package for fiscal 2018 rose to $5 million, from $1.7 million a year earlier, while staff took concessions on pension and benefits. Most of Canada's conventional advertising-funded media — including print, radio and television — have seen a multi-year decline in revenue under intense competition from internet-based companies such as Google and Facebook. One of the few bright spots for Postmedia's quarter was an increase in revenue from digital publications, which rose 4.5 per cent to $32.7 million from $31.3 million. MacLeod said Postmedia also implemented initiatives that are expected to reduce costs by $4 million on an annualized basis while making a $8.7-million debt repayment. After the quarter ended, Postmedia sold its Ottawa Citizen facility — the latest in a series of asset sales. Net proceeds will be put towards repaying $20.4-million in debt to bring outstanding first-lien debt to $105 million and second-lien debt to US$108.2 million.